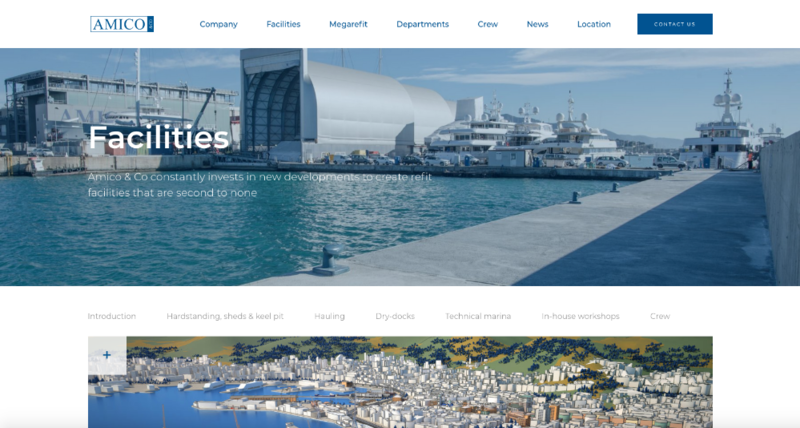 Visitors to the Amico & Co website will have noticed a fresh, new look for the Italian shipyard. The team have been working for the past few months to ensure that the website is useful and easy to navigate for all its clients. Alberto Amico, chairman and director of technical and sales for the yard says that the driving factors behind the shipyard’s decision to rebrand were making sure busy industry professionals could find everything they needed as efficiently as possible. 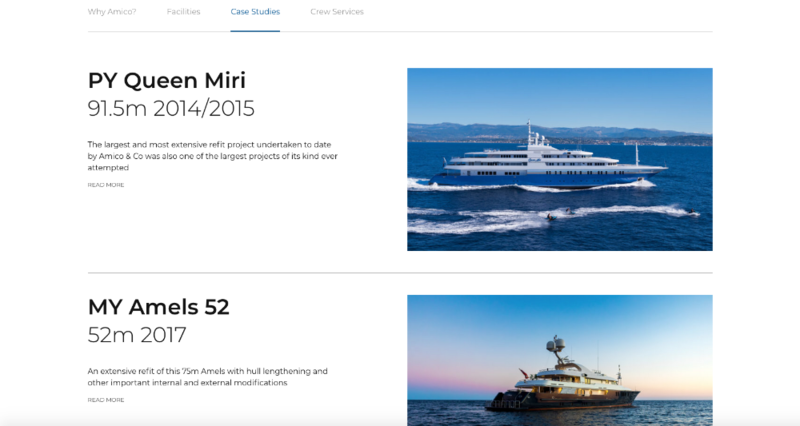 “It’s essential that time-strapped managers can access information regarding the facilities that they are seeking with just a two-click user experience.” The new website not only features 3D views of the facilities, but also a number of case studies that the shipyard has completed in recent years, such as P/Y Queen Miri and lengthening of M/Y Amels. The Amico & Co website illustrates the capacity of the refit yard. This includes four dry-docks up to 170m LOA, including two 102m and 90m state-of-the-art sheltered graving dry-docks with 31m air draft, two 320t and 835t travel lifts and >500m of linear docking space, offering a total of 8 berths for yachts over 80m in the technical marina. 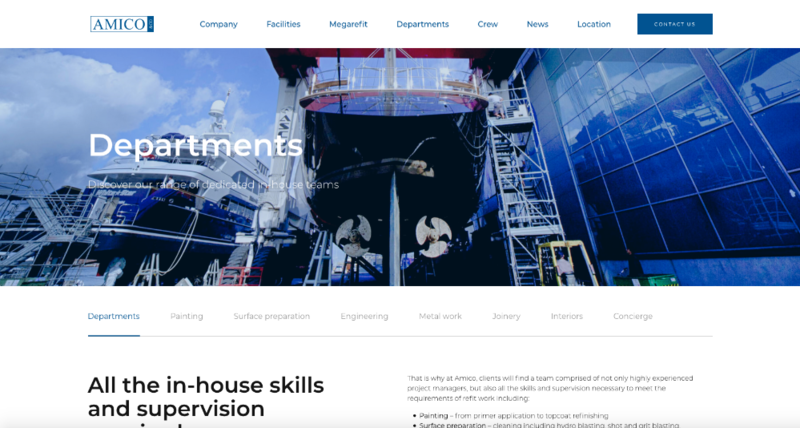 “Whether you are a technical fleet manager searching for dry-dock solutions or a chief engineer looking for a facility for a shaft line or swinging keel repair, we want our website to be your first, and best, internet stop,” explains Amico’s Co-director of Technical and Sales, Daniele Di Giampaolo. The website is also a platform to find the latest news and information from the shipyard. Shipyard facilities are an incredibly important reason why captains and owners decide on where to carry out a refit. 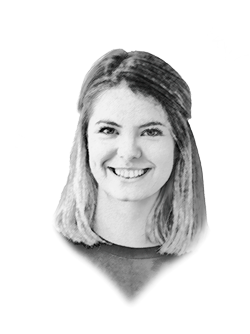 However, the Amico & Co team also understand that the activities for crew are a significant consideration when choosing a venue. 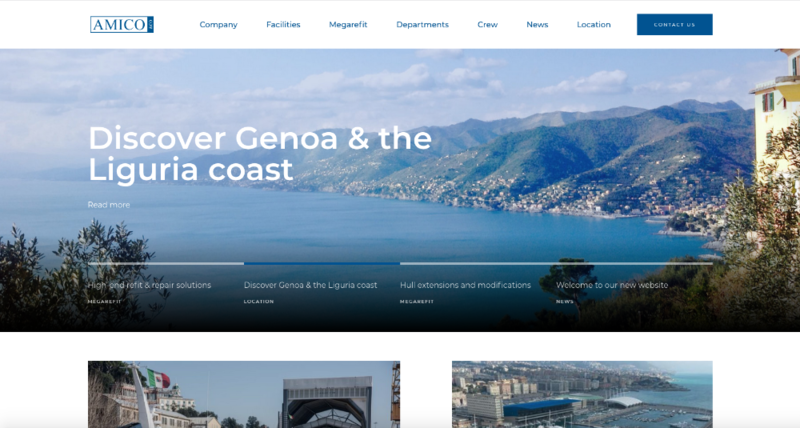 “The new site allows us to showcase not just the quality of our people and our facilities, but the fantastic city of Genoa that we’re so proud to call home,” remarks Di Giampaolo. The website now features a downloadable guide for crew to learn about the area that they will be visiting and what they can do while they are staying in the region.